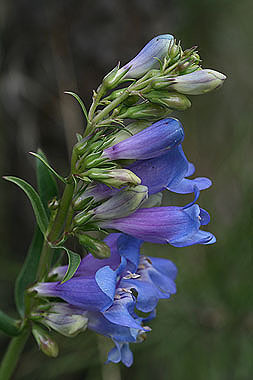 Penstemon glaber is a tall plant, growing up to 30 inches. 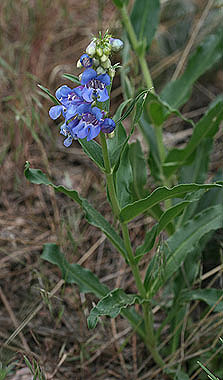 Flowers are deep blue-purple. 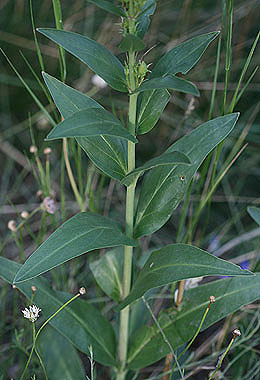 Leaves are opposite, broad and smooth. Anther sacs have short hairs along their edges, most easily seen with a hand lens.